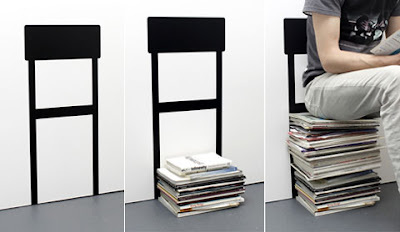 This ‘chair’ might not be the most comfortable, but it will mark the spot where to stack your magazines. Vinyl wall-sticker by Florian Kremb. I don't think this is cool but your idea is great it gives a spot where to stack your magazines. ..you have a unique style although its not comfortable to sit on.